He is named Global Young Leader by the World Economic Forum and is on the Forbes 40 under 40 list. It is easy to become impressed, maybe intimidated by a person that holds such accolades. But Premal Shah, president of Kiva, is the last person to become intimidated by. However, impressed? Yes, highly. And he was coming my way to Nicaragua. 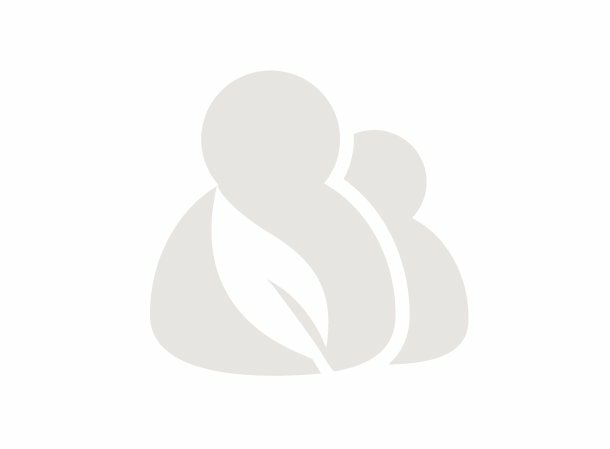 Premal Shah’s lender page on Kiva. Note that he made over 300 loans. The only time I met Premal up close was during Kiva Fellows training week in San Francisco when he gave a presentation on our last day of training. We had thrown a (modest) party at our temporary Fellows apartment the night before. But even after 3 hours of sleep, Premal is a guy who kept us at the edge of our uncomfortable seats because his energy gets across so easily. I instantly woke up when he showed us a graph plotting his “level of aliveness” over time, indicating highs and lows in transitioning from hearing about microfinance for the first time, life as a management consultant, towards being part of the startup phase at Paypal, its acquisition by eBay, ultimately resulting in a burnout, and then Kiva. You can tell when someone is clearly passionate about his work. Premal appeared to be a great public speaker with big dreams in expanding Kiva’s reach further down towards the base of the pyramid. But this was within the walls of Kiva’s headquarters. Now, how does Kiva’s leader go out and about into the field? I was curious. The news about his planned arrival soon spread across the microfinance institution where I was based. CEPRODEL’s leadership team, mostly aged 50+ and on the job for more than 20 years, of course expected Premal to be someone with a similar profile as themselves. So I had to prepare them a bit for a dynamic, informal and young person. Not white, but Indian. Not 50+, but only 36 years old. And no he did not want to spend all day in the office talking Powerpoints or numbers. An extra excitement was that a film crew of Goldman Sachs TV would be following us. This was for another award Premal has recently won. Their feature film about Premal will be released soon. 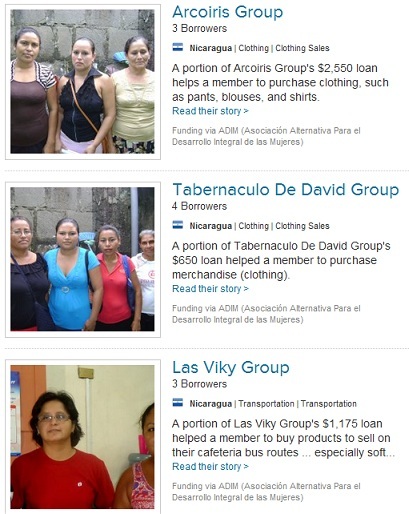 Over the course of the week we visited 4 of the 5 partner microfinance institutions that Kiva works with in Nicaragua. 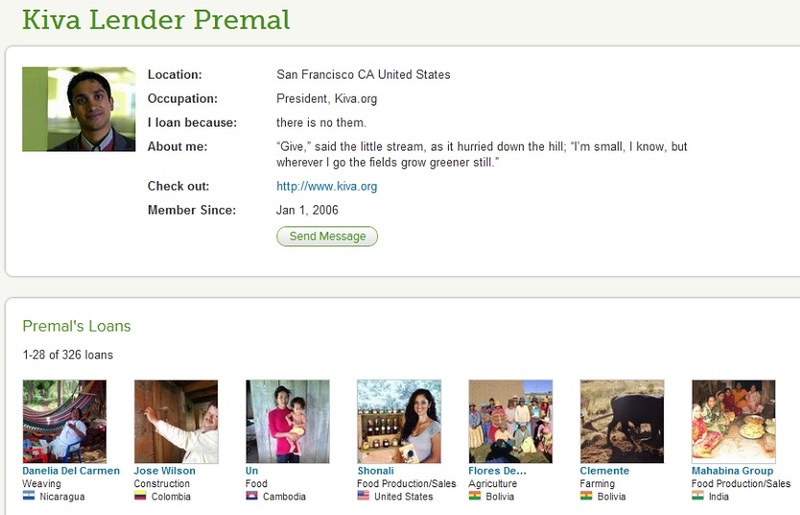 And Premal met about 20 Kiva borrowers. With each of them, he took at least 20 minutes to get to know the person, their dreams and explain Kiva in his best Spanish. Premal chatting with Danelia del Carmen, whom he would later lend $25 to, while the Goldman Sachs crew is filming. 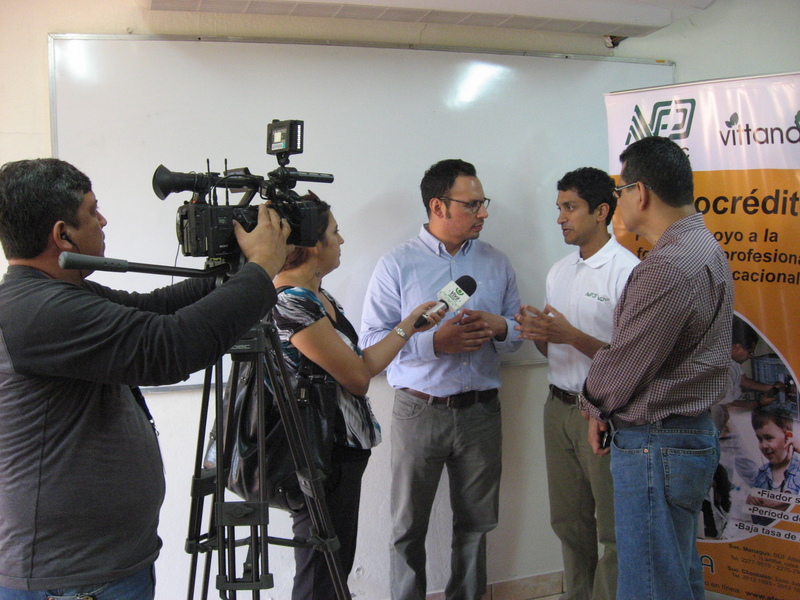 At CEPRODEL, we started with an overview of the microfinance industry in Nicaragua. They explained the devastating effects of the No Pago Movimiento (No Payment Movement) in 2008, when microfinance clients in the north decided to stop repaying their loans. Many of our partners are still recovering from that crisis. CEPRODEL’s main focus are housing loans. They gave us a tour through their social department where there is a team fully dedicated to designing and building housing projects. 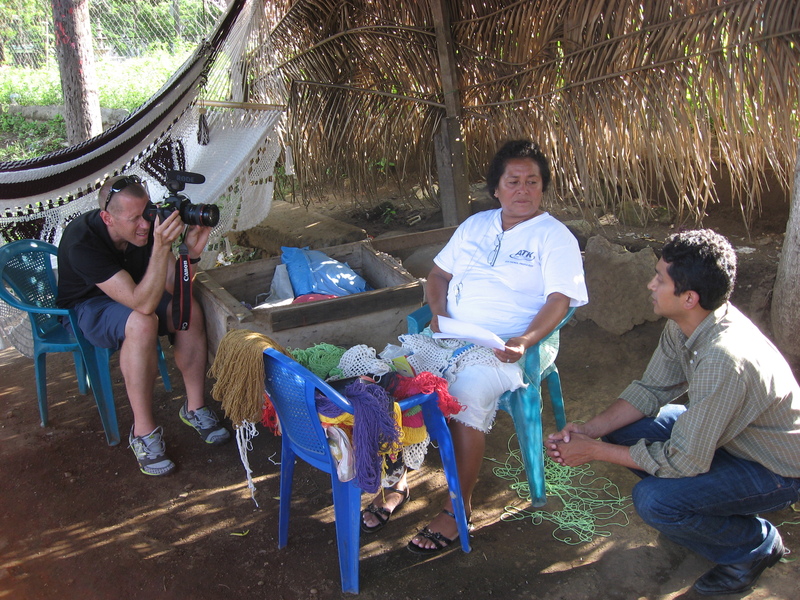 We then visited some of the Kiva clients around artisan town Masaya, amongst them hammock seamstress Danelia del Carmen, who did good business with Premal and the Goldman Sachs film crew. When Danelia took out another loan from Kiva, a few weeks after his visit, Premal got in and is now one of her lenders. Premal with the AFODENIC’s CEO surrounded by graduates thanks to microloans. AFODENIC had local press lined up for us, and a conference with students who had been on Kiva and were now able to proudly show us their diplomas. For example, Claudia Maria is the first person ever in her family to go to university, and now has obtained two degrees of which one with honors. 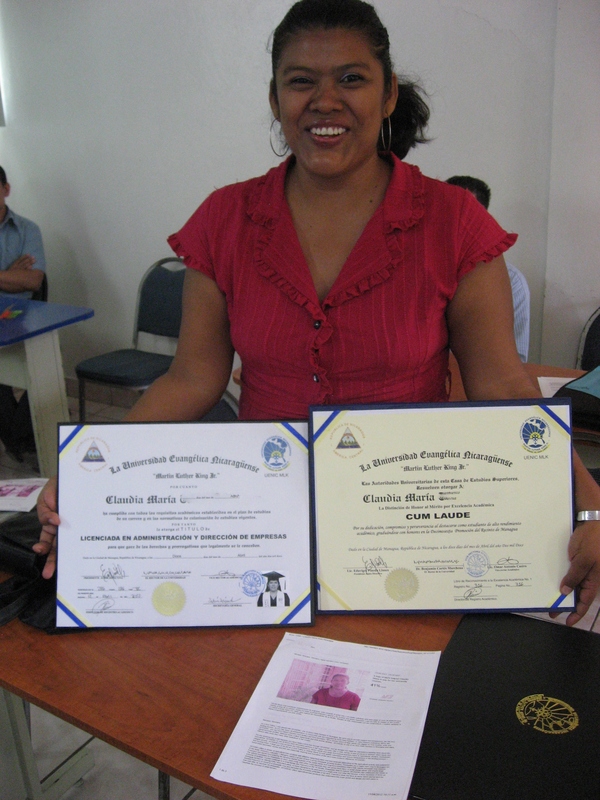 Claudia Maria showing here two diplomas and a print from her Kiva.org borrower profile. Premal gave a demo of the website Kiva.org and made them promise to, one day, lend to someone else in need for an education loan. Furthermore, AFODENIC invests into sanitation solutions as well as developing agriculture skills in rural areas. Nicaragua also faces huge migration from the countryside into the cities. The CEO Don Francisco (pictured on the group photo with glasses) wants to make sure that youth does not forget how to produce food because “In the end we cannot eat money”. His institution has helped build an agricultural university and provides loans to its students. MiCredito is a perfect example that when some in the industry are hit, others can profit by jumping into the gap and innovate. 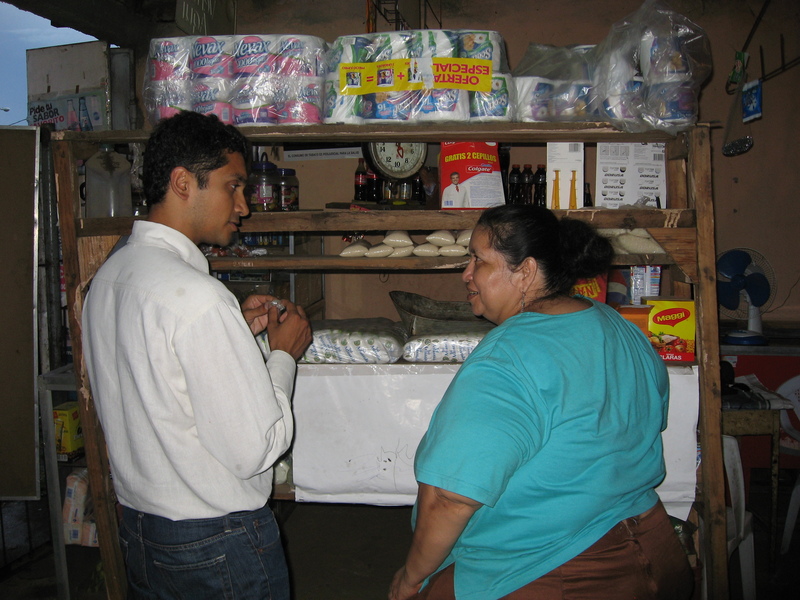 During and immediately after the crisis, they found a way to remain financially strong and even reach growth by focusing on the rural areas of Nicaragua, whereas other microfinance institutions were barely surviving the crisis. They also showed their advances in technology. 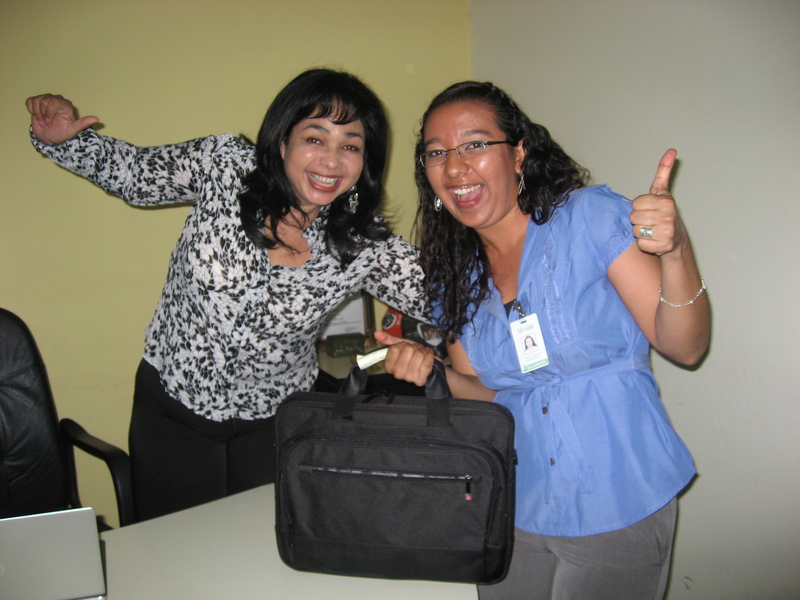 Loan officers use smartphones to capture all information in the field and directly send everything over e-mail to the Kiva Coordinator in the Managua headquarters for upload. It saves time and trees. 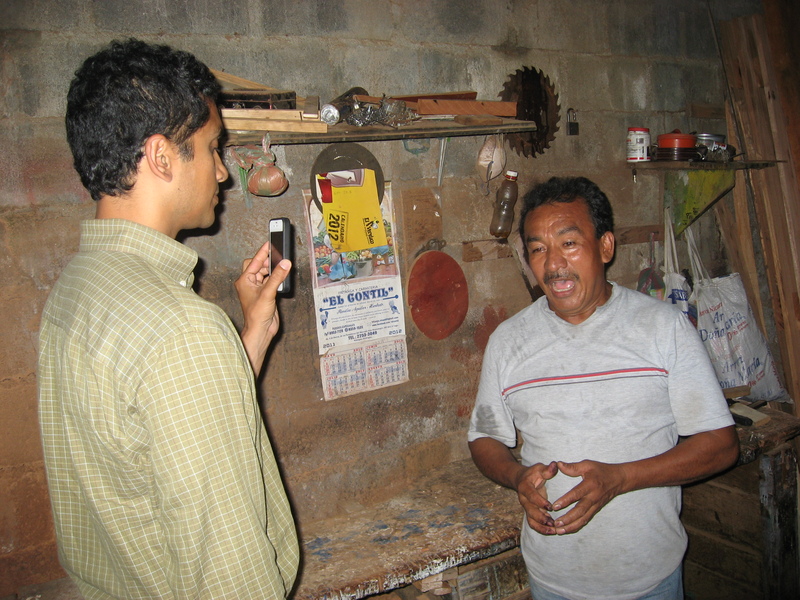 The small but specialized microfinance institution ADIM gave us insights into the important work and most pressing struggles of the Kiva Coordinator. 90% of ADIMs clients are women and the majority are group loans. We brainstormed with the staff about what to do when the photo is always taken at the moment of disbursement inside the ADIM office? It is crowded and chaotic with lots of groups waiting for their money and babies and kids crying and running around. There is not much time nor attention to shoot an attractive photo, resulting in what we call at Kiva firing squad photos: sad faces against a wall. Premal’s idea: have the borrowers hold up a piece of paper stating their favorite quote or their dream. We’ll see if the Kiva Coordinator can convince the shy ladies that make up ADIM’s client population to such change. Keep an eye on ADIM’s loans to see if this advice was effective. ADIM also showed us the amazing power of Microfinance+ when an organisation offers more than just microcredits. ADIM has developed extensive training programs for financial education, entrepreneurial skills and women empowerment. 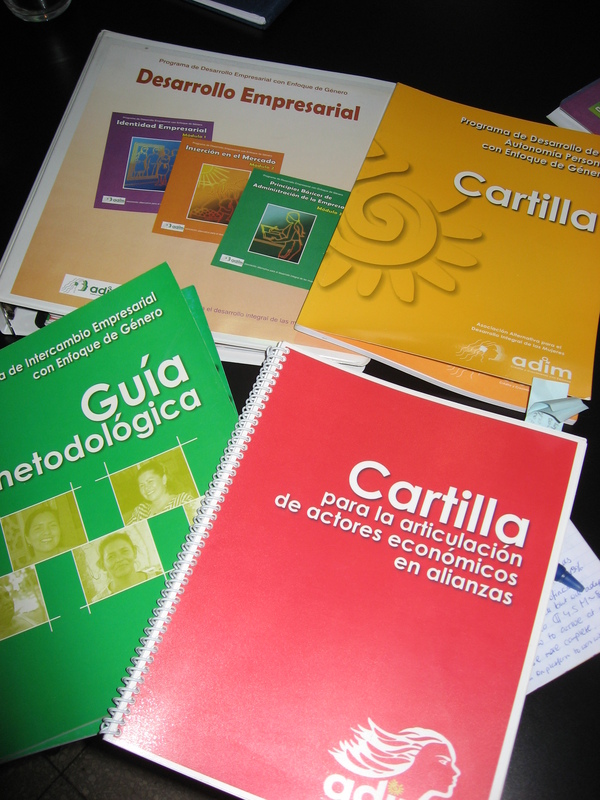 Educational material created by ADIM for its borrowers, used in workshops. Fun fact: I caught Premal taking his shoes off under the table while listening to a monologue (in Spanish) by one the CEOs, which he then rapidly needed to put back on because he was jumping out of his chair to get to the (unused) whiteboard to draw something. For me personally, it was a great experience to see the many different ways of microfinance in action across the Kiva partner portfolio in Nicaragua. Brainstorming with Premal about the direction of Kiva, his current challenges and hearing his vision for the organisation first-hand was a unique opportunity. And oh yeah, I also highly enjoyed the fancy lunches and rides in air-conditioned cars.